Including return international flights, all accommodation, daily breakfasts, transfers within China and much more. Explore some of China’s most scenic and recognisable sights on a 11 day Highlights of China tour. 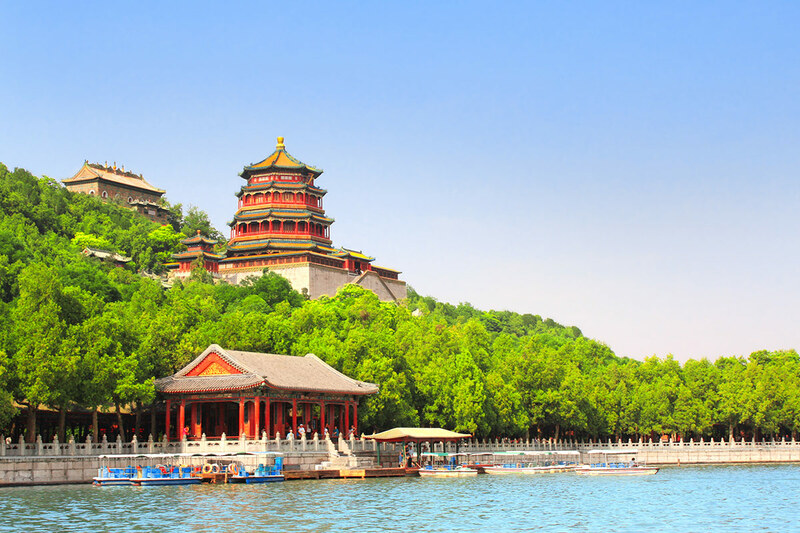 Plus extend the tour to a 15 day itinerary and experience 4 nights cruising the Yangtze River. Your time in China begins in Beijing, the behemoth and buzzing capital city of China. 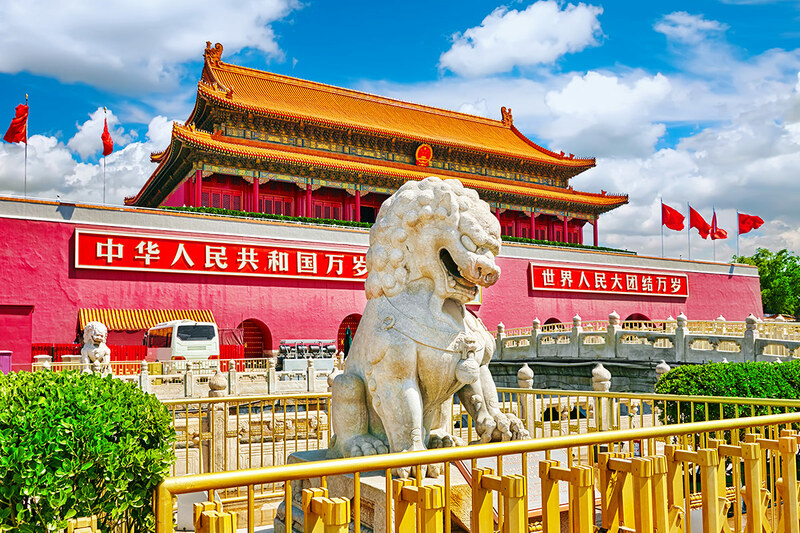 Start your sightseeing by gazing around in wonder at the size and scale of Tiananmen Square, which is home to some of the city’s most popular attractions – including the Forbidden City. Leave the city’s limits to tick off a bucket list experience: walking a section of the Great Wall of China. 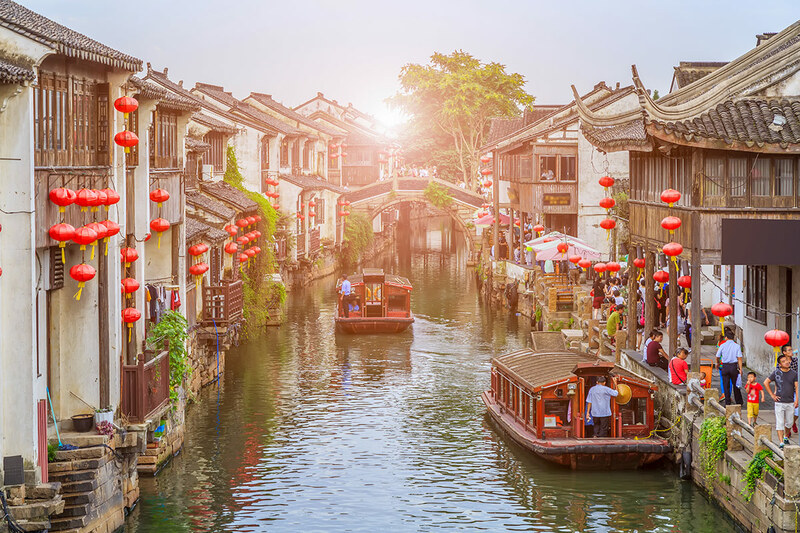 Admire the scenery around Lake Tai in Wuxi, an ancient city that earned the nickname as the ‘Land of Fish and Rice, and travel to Suzhou to appreciate why this city of canals and gardens has been a source of inspiration to artists for so many generations. Head to Hangzhou to watch silkworms at work in a silk-spinning mill and also take a boat ride on West Lake. Cleanse the palate with a tea-tasting session at a local tea plantation and finally arrive in Shanghai, a sprawling metropolis that is both China’s biggest city and its commercial epicentre. Fly out of Australia today and head towards Beijing. You will be met and transferred to your hotel. Use the remainder of the day to begin your discovery of the Chinese capital or relax in your hotel room. Please note that some flights may depart the night before. Head out into the city after breakfast at the hotel and begin your sightseeing at Tiananmen Square, the second-largest public square in the world. This mammoth square was named after the gate that separates it and the Forbidden City in the north. The square is also the site of the National Museum of China, the Mausoleum of Mao Zedong, and the Monument to the People’s Heroes. 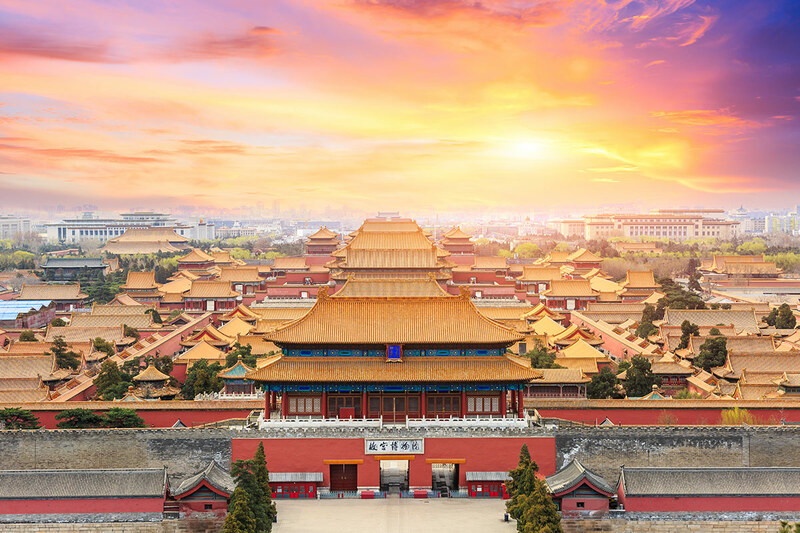 One of Beijing’s most fascinating landmarks is the Forbidden City, a world once strictly for the eyes on Emperors and the Imperial court. Additional cost applies. Feast on a traditional Peking duck banquet tonight, which is served with all of the classic accompaniments. Additional cost applies. Today starts in spectacular style: by journeying to the Great Wall of China at Juyong Pass. 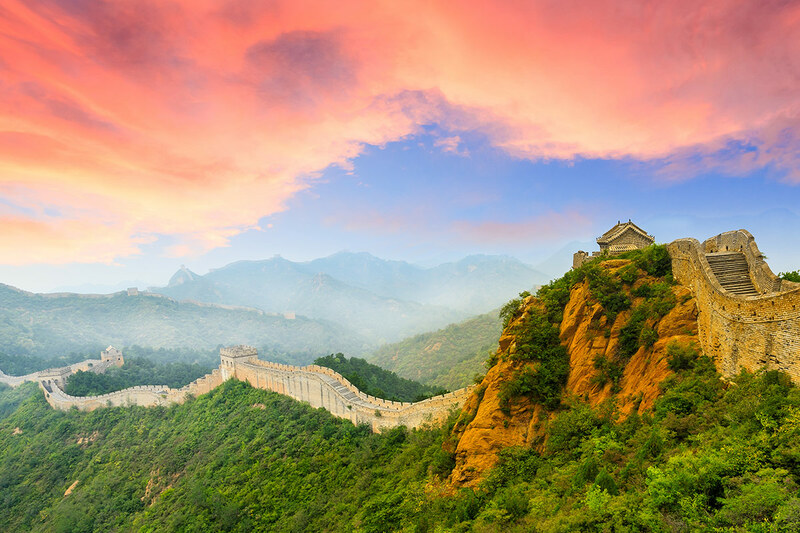 This is one of three famous Wall passes and is located just 60 kilometres from downtown Beijing. Be sure to wear comfortable and sturdy shoes today as you will have a chance to walk a section of the wall and the steps can be quite steep in places. Head back to Beijing after learning about the wall’s history and construction, stopping off at one of the largest jade exhibitions in Asia. Enjoy lunch and then move to a cloisonné factory. Catch a performance of ‘The Golden Mask Dynasty’ show or the ‘Kong Fu Legend’ show. Visit the city’s Summer Palace this morning. This lavish complex is made up of lakes, gardens and palaces. It is a UNESCO World Heritage Site. Your tour of the palace, which was once the summer resort of Emperors, is followed by a visit to the Chinese Herbal Institute to learn about traditional Chinese medicine. As a bonus, you’ll enjoy a relaxing foot massage. Hop aboard a traditional Chinese rickshaw for a tour through Beijing’s maze of hutongs, or alleyways. As well as exploring the winding hutongs and admiring the courtyards, you also have the chance to visit a local Beijing family. Next, travel to Beijing Zoo and look in at one of their most adorable residents: the giant panda. Additional cost applies. Board a high-speed journey for the quick journey to Wuxi, an ancient city that is affectionately dubbed the ‘Land of Fish and Rice’. Here, pass by the landscape of Lake Tai and then mosey along Nanchang Street, a strip that is the ultimate juxtaposition of old and new world architecture. Visit one of China’s largest freshwater pearl exhibitions in the morning before travelling by coach to Suzhou. 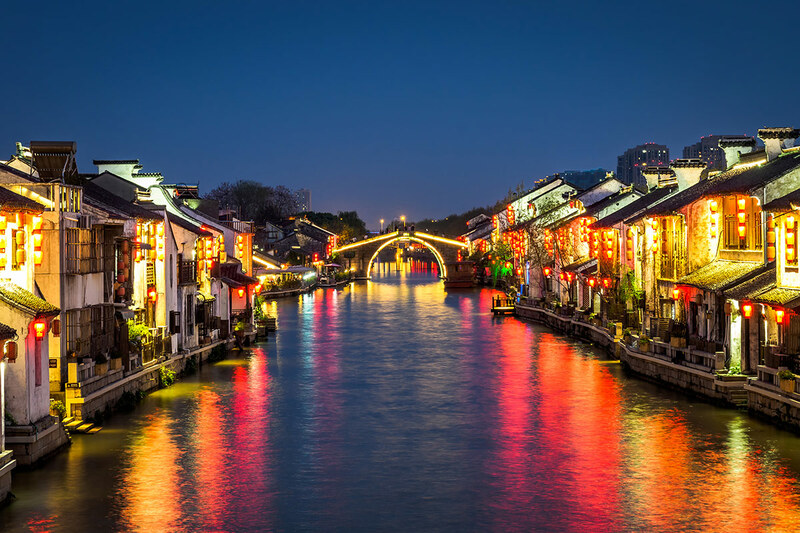 The beauty of this gorgeous city has long served as inspiration for generations of Chinese poets and writers. 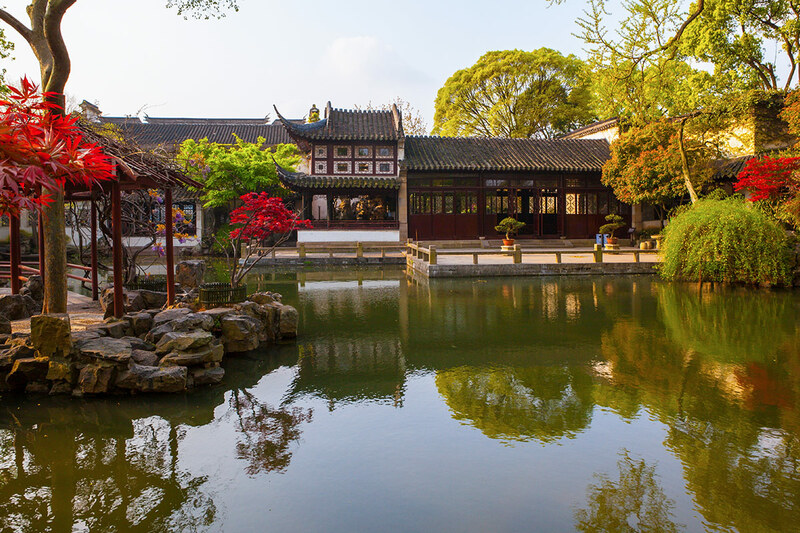 Suzhou has earned itself the nickname of ‘Garden City’ thanks to its myriad classical gardens, including the famous Lingering Garden – a stop on today’s itinerary. 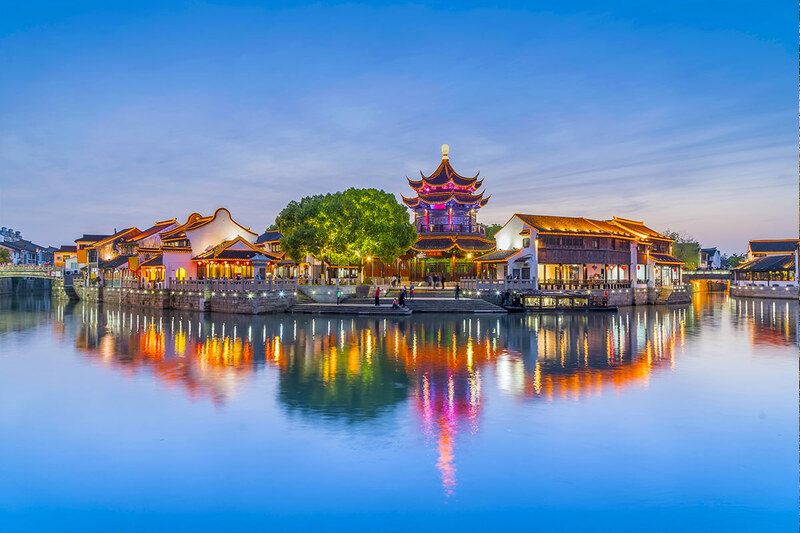 Hop aboard a cruise boat and float along Suzhou’s UNESCO World Heritage Site-listed Grand Canal. This waterway is more than 1000 years old. Additional cost applies. Feast on a mouth-watering buffet dinner of delicious Western cuisine at your hotel. Additional cost applies. Learn about one of the world’s most luxurious textiles – silk – and how it is produced and created at a working silk-spinning mill. Then travel to Hangzhou by coach. Marco Polo was one of Hangzhou’s most famous fans; he named this city as one of the most beautiful he’d seen in the world. 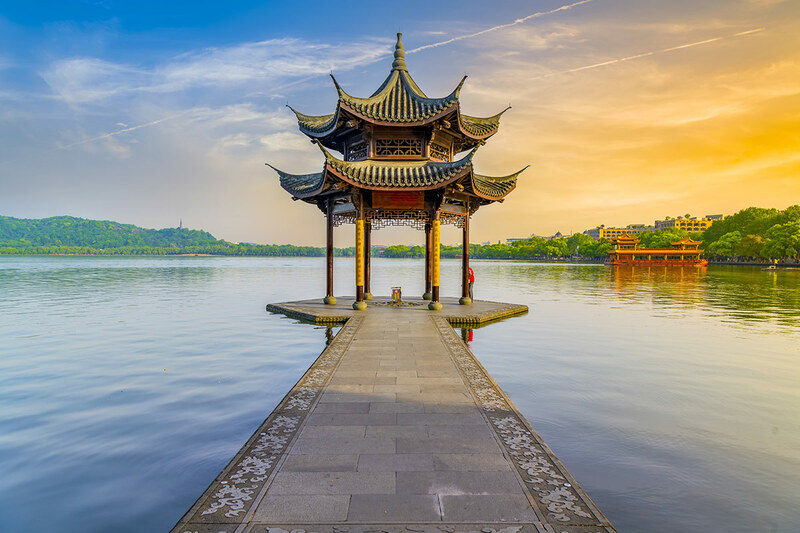 Your time in Hangzhou begins with a boat ride on West Lake, from which you’ll be able to see some of the city’s best-known historical and cultural sites. Enjoy this acclaimed open-air performance, a spectacle created by Zhang Yimou – the director behind the Opening Ceremony at the 2008 Summer Olympics in Beijing. Additional cost applies. There is a tea-tasting experience on the agenda this morning and once you have sipped and swilled your cup of green tea, venture to Shanghai via coach. This energetic city is one of the commercial centres of China and upon arrival there is a walk along the Bund, a mile-long stretch that hugs a length of the Huangpu River. This stroll is one of the best ways to admire Shanghai’s mix of colonial architecture, European influences and modern design. The rest of the day is at your leisure. 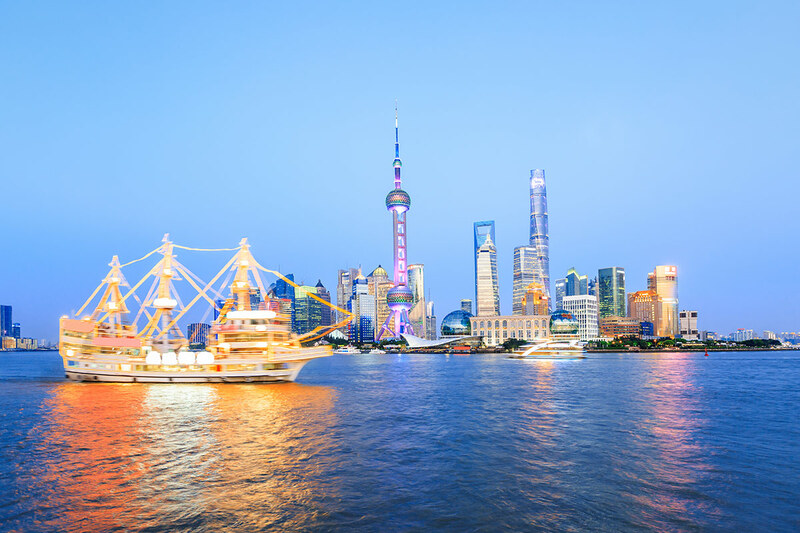 A cruise along Shanghai’s Huangpu River is a must-do for many visitors to the city. Additional cost applies. Today, visit the Shanghai Museum in the morning and then enjoy the rest of the afternoon with free time. Head up to the Observation Deck on the 88th floor of the Jin Mao Tower for a view across the river and Shanghai’s cityscape. Then visit the Xintiandi area before experiencing a ride on the world’s fastest commercially-operating train – it reaches speeds of up to 431 kilometres per hour. Additional cost applies. See ERA The Intersection of Time or SPIRAL tonight and wonder at the nimble feats of Chinese acrobatics. Additional cost applies. A transfer takes you to the airport at the appropriate time for you to board your flight home to Australia. Travel to Yichang and prepare to embark on a cruise of the Yangtze River. Board the Victoria Cruise Boat and settle into your cabin – your home for the next four nights. 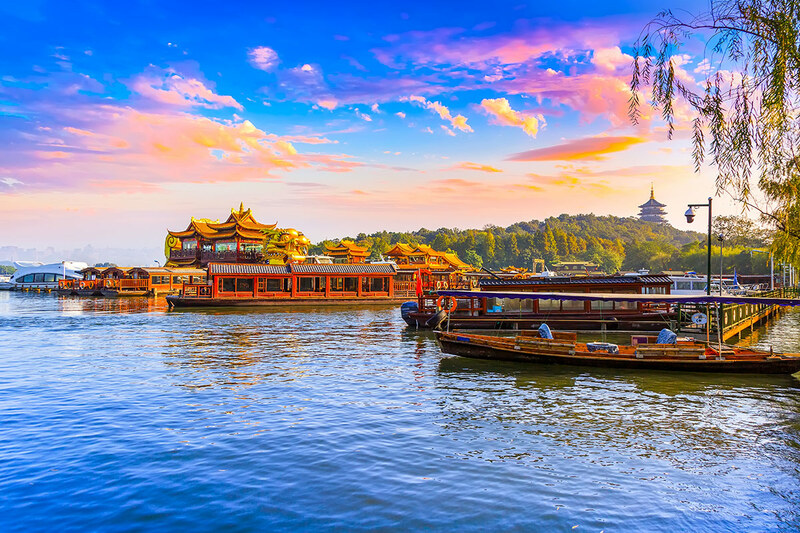 Your first full day of cruising kicks off with an on-board breakfast and then a trip to the Three Gorges Dam, the world’s largest hydroelectric power station. Then move onto Xiling Gorge, the longest and deepest of the gorge trio. There are opportunities for optional activities, including an excursion to meet the tribes of the Three Gorges. A captain’s banquet is on the cards for dinner tonight. Move onto a smaller vessel for a scenic journey through the gorges of the Goddess Stream. Please note that weather conditions may mean Shennong Stream is visited instead. Voyage to Wu and Qutang Gorges or take up the chance to visit White Emperor City. Make for shore on an excursion to Shibaozhai and its wonderful wooden pagoda. There is also an opportunity to see Fengdu’s Ghost City on an optional excursion. Tonight, there is a farewell dinner aboard the boat. Disembark once the boat as docked at Chongqing and explore the city, known as China’s ‘Mountain City’, at your leisure before a transfer for the airport to board your Australia-bound flight. 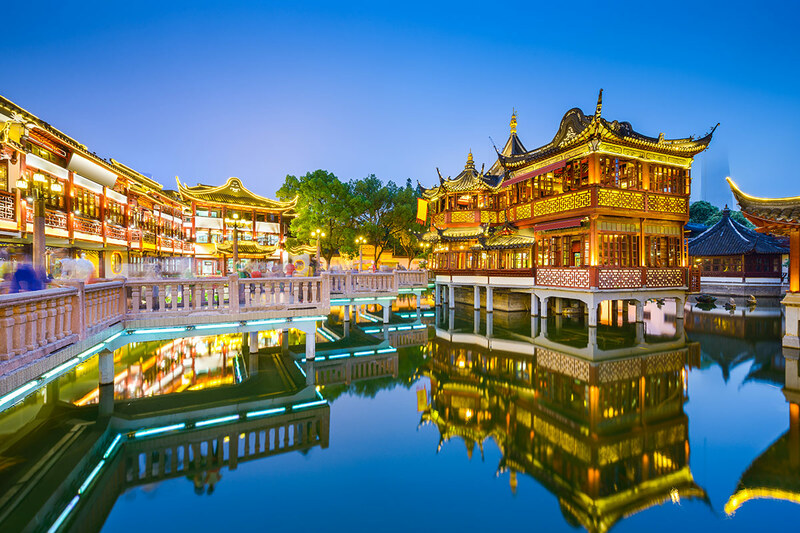 Optional Tour (at own expense) Chongqing Insight Tour: On this sightseeing tour you’ll explore the many landmarks of Chongqing including Hongyadong Folk Custom Scene Area, local wet market and the famous Huguang Assembly Hall. Documentation will be provided 2 weeks prior to departure. A preliminary itinerary will be sent you prior to this time to ensure that you can arrange your Visas (where required) in a timely manner. 11 Day itinerary – $500 per person in addition to the twin share price. 15 Day itinerary – $800 per person in addition to the twin share price. Return economy airfares departing Sydney or Melbourne with China Southern, Air China, Sichuan Airlines, Hainan Airlines, Xiamen Airlines or similar. Brisbane- A $280 per person interstate surcharge applies.